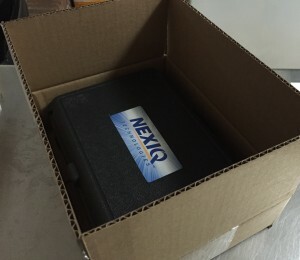 In early 2015, Nexiq Technologies discontinued the “tried and true” original NEXIQ 125032. This adapter had been around for around 7 years, and was wildly popular. One of the main reasons that the Nexuq USB Link became so popular was because of their distribution. Nexiq is 100% owned by Snap On, so between the large marketing spends, industry trade shows, and Snap On tool trucks, Nexiq has an unmatched distribution network. The other large source of their distribution comes from formal truck dealerships, as Nexiq is the recommended product for various truck manufacturers such as International, Freightliner, and many others. We’ve literally sold over 1,000 of the original Nexiq USB Link, so to say we are familiar with them is an understatement. Lets talk about some of the changes that we’ve noticed with this new and improved USB Link 2. Nexiq has decided not to provide this packaging with the new USB Link 2, but I guess who really cares about packaging? For all its popularity, the original Nexiq USB Link had some serious design issues. The main issue was with the USB connector at the bottom. The original design was very poor, and lets face it, these devices are being used by diesel and auto technicians. To say they are rough on tools would be an understatement. The main problem is that due to the bending of the USB cord and constant plugging/unplugging of it, the USB port would break off the motherboard inside the device. When this happened, you would have to send it to Nexiq to be repaired. Although the cost wasn’t bad (Around $150), the downtime of 3-4 weeks is what made it difficult for people. Nexiq did go through a couple “fixes” for this, such as creating a USB Link restrainer (shown below) and upgrading the USB port to the heavy duty “orange” style. By using both of these options, it did tend to help the issue. I only bring this up, because the new USB Link 2 appears to have solved that issue. The design they’ve come up with made it so that the USB cable really can’t be pushed around, and it gets “socketed” into the adapter. Beyond the USB port redesign, the shape is obviously different as well. The new USB Link 2 has the black plastic grabbers on the side, and is a more “boxy” shape that all the vehicle interfaces seem to be going towards. The adapter also has indicator lights for power, traffic, Bluetooth, and faults. Perhaps the largest design change is where the cables attach to the Heavy Duty Diagnostic Tools USB Link 2. The original USB Link used a standard 15-pin connector, and life was good. There were a ton of aftermarket cables available, all of which sold for under $40. This included replacement 6/9 pin cables, OBDII cables, Volvo 8-pin & 14-pin, Cummins 3-pin, and many more. 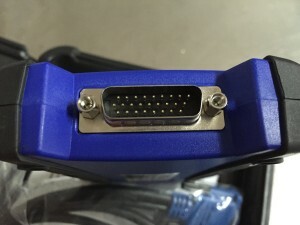 With the new adapter, Nexiq has changed to a 26-pin connector as shown below. While we can’t find a reason for this on the Nexiq website, we can only assume that this is to handle the new CAN2 protocol standard. Since there are no aftermarket cables available for this, it means the “extra” cables got very expensive — Over $200 for most of them! Until there is a good aftermarket solution, there won’t be much that can be done. The Nexiq USB Link 2 has a 26-pin connector. Nexiq has also changed the contents of the package. The NEXIQ-2 USB Link no longer comes with any installation media, but this actually makes sense. Since Nexiq appears to update drivers every 60 days or so, the CDs that used to come with the original unit were often outdated by the time the customer received the unit. To force the customer to download the latest versions from their website isn’t a horrible thing, and it also makes sure that customers will always install the most recent version. As with the late model original USB Links, Nexiq is now supplying a very long 6/9 pin connector. It is roughly 3′ long. Our assumption for this design change is that on the previous models with the short connector, it would sometimes cause the adapter to hang in a location that could cause it to be damaged if the door of the cab was closed on it. This new model also includes the standard 15′ USB cable. Since there is no media included with the USB Link 2, you will need to download it from Nexiq’s website. As of this posting, the most current version is v1.0.16. This download will also install the most recent version of Device Tester, so that you are able to troubleshoot connection problems. Remember: The adapter does not come with any diagnostic software. All of that must be purchased separately. The NEXIQ USB Link 2 is much improved design, and we are sure that it will sell very well for a long time given its history and distribution network. We are constantly lurking in message boards and forums, and there have been reports of it not working with various equipment, but these are usually unfounded. We have yet to run across an application that would NOT work with the USB Link 2. If you do have one, please leave a comment below and let us know! Once some aftermarket cables are available for this communication adapter, it will make the pain much easier for people to switch. If you are upgrading from the original the new model, you will have to install the new drivers, along with changing all your software programs to work with it. If you are looking to purchase one, you can head over to our online store. Shameless plug: We carry these in stock, ship quickly, and help support them after! We will soon be releasing a video on this product, along with a Companion Guide as well. 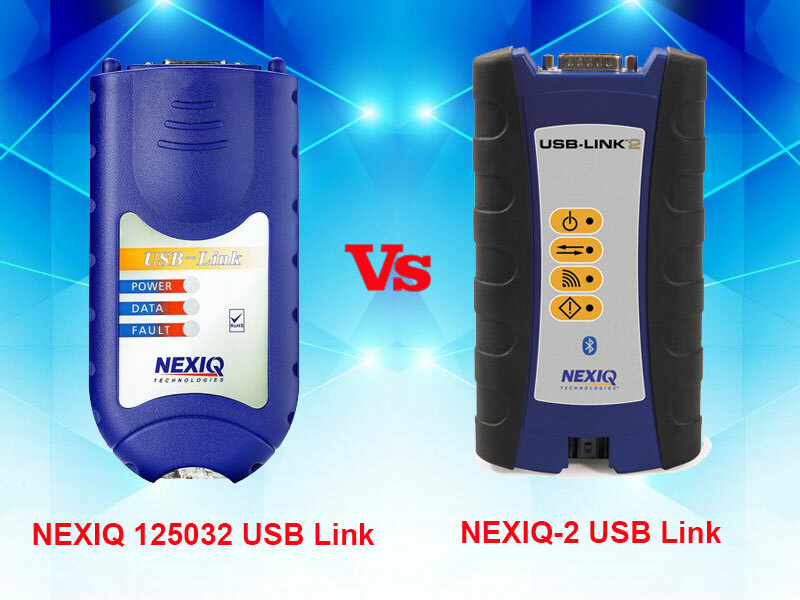 NEXIQ USB Link 2 is multi-brand truck diagnostic tool,it includes:volvo,cummins,Bendix, Allison .etc truck software.NEXIQ Support Heavy-Duty, Light-and Medium-Duty Trucks, CONSTRUCTION EQUIPMENT like (Wheel loader, Articulated Hauler and Excavator), Genset. ATEQ VT55 has a dedicated team that tracks all new TPM Sensors introduced on the market and that makes sure that ATEQ’s TPMS tools can be updated with those sensors months or years before they actually reach your garage. You will NOT find a better service anywhere else, as ATEQ also supplies car assembly plants which gives us access to new TPMS protocols long before anyone else can. What you need attention for NEXIQ2? Recently ,Our NEXIQ 125032 USB Link sold very well on the market , becuase it with the best price and best quality , the function of it is very stable. 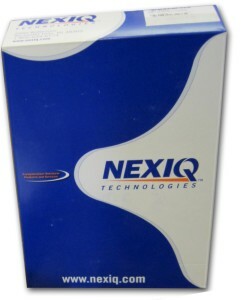 Another Heavy Duty Diagnostic Tool NEXIQ2 is more functional than NEXIQ 125032. Nexiq’s next-generation USB-Link 2 vehicle interface is designed to be five times faster than its predecessor and to support heavier bus loads on simultaneous channels. A Bluetooth module with an enhanced data rate has been added to support wireless vehicle-to-PC communication, while the USB connector now is built with a more robust automotive-grade connector and a latching mechanism for increased reliability. When you use NEXIQ 2, what you need attention? 1. It Can Not Be Updated, Otherwise, The Multiplexer Will Be Damaged. 2. For Volvo, Hino, Cat and Nissan software, please install them on Windows XP only, other vehicle software can be installed on Win 7. 3. When you change time of your laptop, Cummins Inline software will get locked, please download the attached file w-to-unlock-cummins-inline” to solve it. 4.Before install the Nexiq software CD,pls reinstall your computer system first,otherwise the multiplexer will be damaged. The Bluetooth module from OBD2TOOL supports wireless communication via an enhanced data rate (500K b/s J1939). For even more reliability, we’ve upgraded the USB connector to a more robust, automotive grade connector with a latching mechanism. The USB-Link 2 is compatible with a wide range of OEM software applications. IDSC Holdings LLC retains all ownership rights to USB-Link 2 and its documentation. The NEXIQ USB Link 2 source code is a confidential trade secret of IDSC Holdings LLC. You may not decipher or de-co npile USB-Link 2, develop source code for USB-Link 2: or knowingly allow others to do so. The USB-Link 2 and its documentation may not be sublicensed or transferred without the prior written consent of IDSC Holdings LLC. This manual as well as the software it describes, is furnished under license and may only be used or copied in accordance with the terms of such license. The content of this manual is furnished for informational use only: is subject to change without notice, and should not be construed as a commitn^nt by IDSC Holdings LLC. IDSC Holdings LLC assumes no responsibility or liability for any errors or inaccuracies that may appear in this book. Except as permitted by such license, no part of this publication maybe reproduced: or transmitted, in any form or by any means: electronic, mechanical: or otherwise, without the prior written permission of IDSC Holdings LLC. Tech-2 for GM is the same tester GM Technicians use to diagnose GM vehicles.It is an excellent tester for technicians to diagnose GM vehicles.An industry change in protocol from obd2 scanner to Controller Area Network (CAN) has begun. In order to perform diagnostics on a vehicle that uses the CAN interface; you will need the GM Tech2 Flash and a CAN diagnostic interface module. The module connects between the Tech 2 Flashs diagnostic link cable and the OBD adapter. Once the module is connected, it can be used on all GM vehicle applications,even those vehicles using other platforms such as OBD I and OBD II. 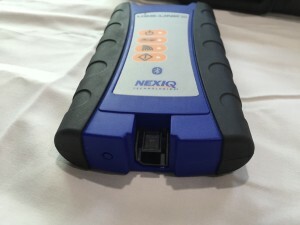 The USB-Link 2, the next generation vehicle interface from NEXIQ Technologies, has arrived Dependable and rugged, the new Truck Diagnostic Tool USB-Link 2 is five times faster than its predecessor It has sixteen times more random access memory than the old USB-Link, and it supports heavier bus loads on simultaneous channels. The NEXIQ-2 USB Link does /?of support Integrated Bluetooth. If your PC has Integrated Bluetooth, your system has Bluetooth drivers installed and a built-in Bluetooth transceiver. You must uninstall Integrated Bluetooth and its Bluetooth^ drivers prior to proceeding with the USB-Link 2 insta卜 lation process. GM Tech 2 is Handheld Diagnostic Scanner, GM Tech 2 is the same diagnostic scanner as is used also for GM, Saab, Opel, Izusu, Suzuki and Holden, are you looking for the user manual of Vetronix GM Tech 2 Diagnostic Scanner, and how to use GM Tech 2 Diagnostic Scanner to diagnose your vehicle. The GM Tech 2 Scanner is the same tester GM Technicians use to diagnose GM vehicles. The Vetronix Tech 2 comes with Authentic GM software and provides support for on-board diagnostics on all GM systems.